Beyond the current welcome offer, the 888sport app also normally offers other bonuses which are available for all existing Canadian players. An example of another offer that we have taken advantage of is the American acca bonus which was available when placing a $5 parlay or accumulator bet (on any North American sport) with 5 selections. Even though all but one of the selections won, we got our stake returned as a free bet. Existing players can also look forward to several one-off promotions from 888Sport. 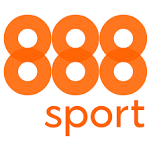 Players can access the 888Sport website direct from their Android tablet or smartphone to place wagers from the mobile version of the desktop site. Seamlessly tailored to the needs of smaller screens, this intuitive software is able to adapt perfectly to the needs of mobile devices for an excellent wagering experience that loses none of its functionality or visual appeal. For punters who would rather download an app to their device for even more convenient access to the site, there is a downloadable 888Sport Android app which can be downloaded from the website. Players simply visit the site from their mobile device and click on the download button. They will need to adjust their security settings to accept third party apps, however this is quick and easy to do, and once it has been accomplished the software will be automatically downloaded so players can sign in and place a bet straight away. 888Sport is a relatively recent addition to the online betting industry, as while they have been in operation as a bookmaker since the late 1990s, their betting site wasn’t launched online until 2008. These days, however, it has made up for its late entry onto the scene, with an intuitive and user friendly desktop site and mobile app that offers an excellent wagering experience that has been well thought out and designed. There is no shortage of sports markets available with this operator, and punters can place a wager on both popular and niche sports, from the North American classics such as football, basketball and ice hockey to obscure offerings such as bandy and netball. Overall there are around 36 sports markets to choose from, and the odds are presented in the style of the player’s choosing, either money line, fractional or decimal depending on their needs. There are also numerous wager types to select from, including total number of goals, goals for each team, which player may score, whether the game will be an away or home win or even a draw, and many more. There are even eSports wagering options as well as the chance to bet on entertainment and politics events. Live in play betting is also available from 888Sport, and this is an exciting way to interact with a game that is already underway. Players who have funds in their live account or who have place a bet of at least $1 during the previous 24 hours can watch a wide variety of sports events through the website in a live stream. 888Sports’ odds are fairly standard, although the NFL spreads are more generous. When it comes to hockey, this sportsbook offers 3 way betting lines as well as the more traditional wagers. There is no shortage of withdrawal and deposit banking options from 888Sport, and players can either choose a modern or traditional method to place funds into their account or withdraw their winnings. From credit cards and bank wire transfers to InstaDebit, PaySafeCard, EntroPay, Neteller, PayPal and Skrill, all available methods are very safe and secure, as well as easy to action. Withdrawal times are also impressive, with some methods enabling funds to appear in the player’s account within a 24 hour period. Punters can access the customer support team from 888Sport at any time 24 hours a day, 7 days a week. There are three different contact methods to choose from: telephone helpline, email and live chat, with the live chat facility being the quickest and easiest to use when instant help is essential. Although the telephone helplines are not available 24 hours a day, they are toll free and are open from 9 am until 10 pm. Live chat and email are available at all times and responses are rapid. For players who need quick answers to common questions without the need to contact a representative, the site also has a frequently asked questions section which offers a speedy solution to many frequently experienced issues. Players who are looking for a reliable and intuitive mobile sportsbook should seriously consider 888Sport. Thanks to its intuitive and innovative software design and its user friendly approach, it is a great choice for gamblers old and new, and thanks to the regular promotions and lucrative welcome offer, it offers punters the chance to maximise their profits. With high quality customer support and lots of banking options available, this betting app also offers the advantage of an extensive selection of sports markets on which to place a wager. With its clean and speedy interface, customers can enjoy a seamless mobile experience from their smartphone or tablet at any time of the day or night and from any location worldwide. This app is a suitable choice for Canadian players at all levels who are looking for variety, convenience and a high quality experience. “I had not heard much about 888 before so was a little apprehensive at first. I signed up, then once I was up and running came the thing I was expecting trouble with and that was making a withdrawal. Because I won quite a lot on my “first bet treble the odds” bonus, I ended up withdrawing a lot more then I deposited – and so I was expecting some hassles.